Great Orme Copper Mines Industrial HeritageUncovered in 1987 during a scheme to landscape an area of the the Great Orme, the copper mines discovered below the ground represent one of the most astounding archaeological discoveries of recent time. Dating back 4,000 years to the Bronze Age they change our views about the ancient people of Britain and their civilized and structured society 2,000 years before the Roman invasion. Visitor centre, film and displays, underground trip and surface walkway. 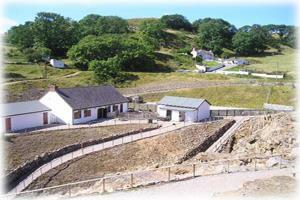 Located in the Great Orme Country Park. Follow Copper Mine signs from Llandudno.